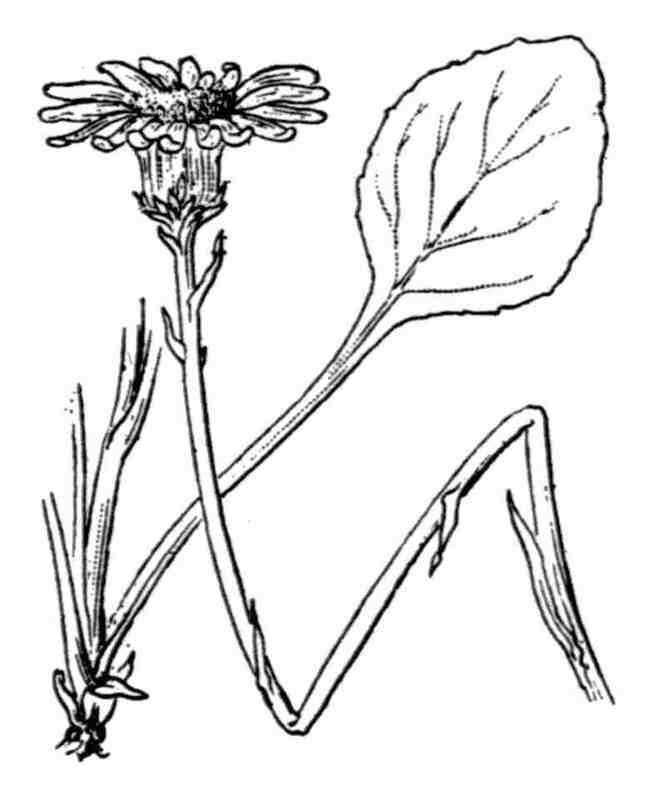 LATIN: Senecio gerardi Gren. & Godr. 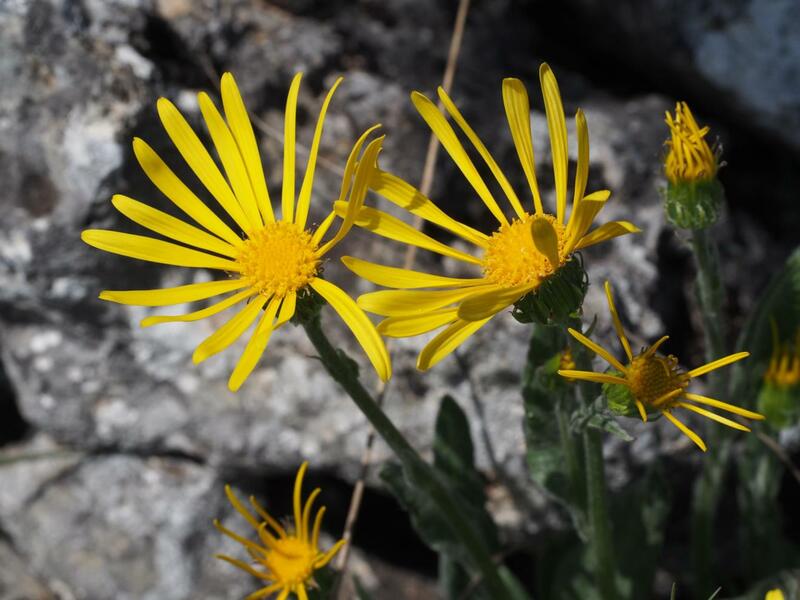 Senecio gerardi Gren. & Godr. 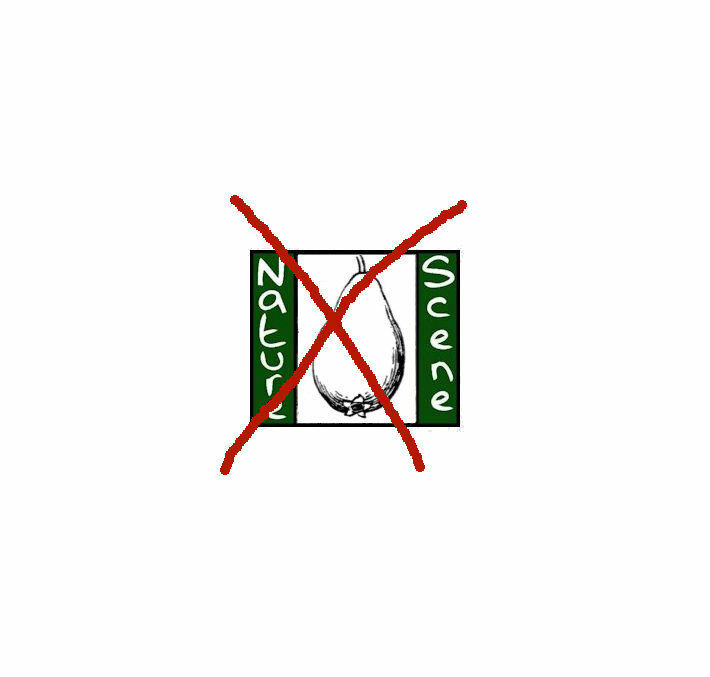 Écologie : Bois, pâturages du Midi : Alpes-Maritimes, Provence, Gard, Aude, Lozère, Aveyron. 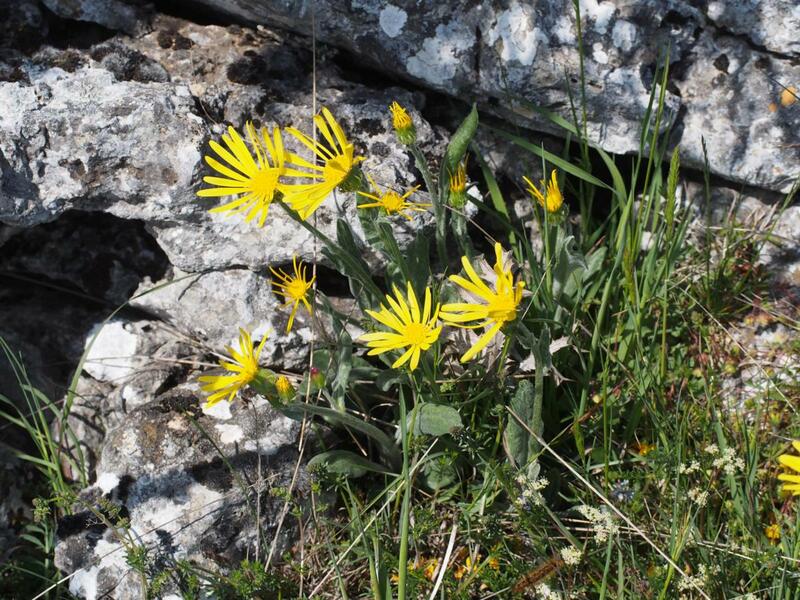 On the Causse Méjean, the plantes often posses the characteristics of the two 'species', often on the same plant, but in reality are all Senecio gerardii (James Molina, Consevatoire Botanique). 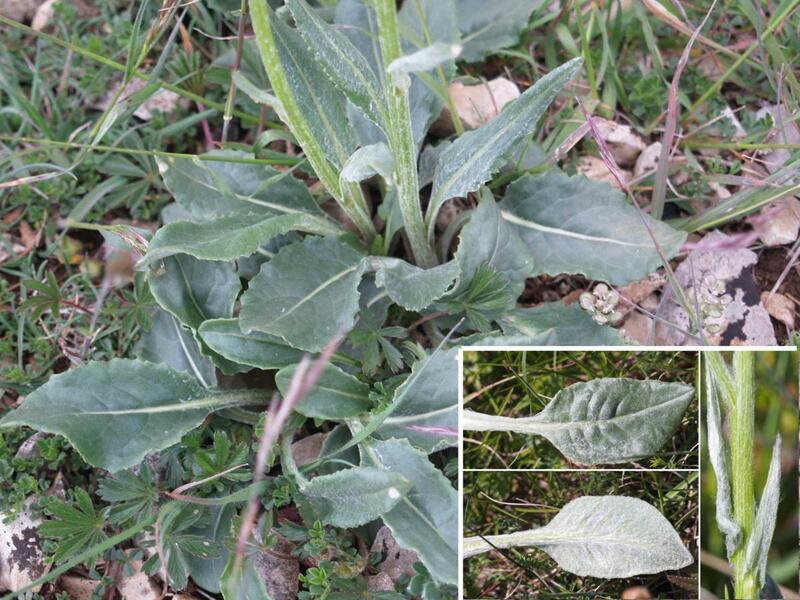 Ecology UK: Not native to the UK - France: Wood, pastures of the Midi: Alpes-Maritimes, Provence, Gard, Aude, Lozère, Aveyron. 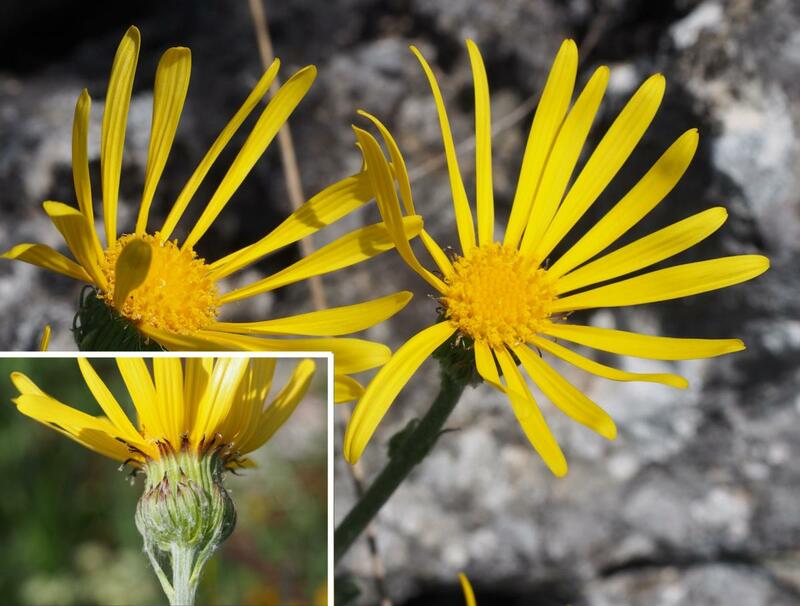 Flowers: involucre ordinarily woolly, with linear folioles, [involucral bracts wider and shorter than Senecio doronicum] longly acuminate; capitula large, solitary, sometimes 2, very rarely more; flowers a dandelion yellow.